As usual, the Seattle Mariners were busy this offseason. However, instead of building themselves up, GM Jerry Dipoto was busy tearing everything down. The Mariners are poised to go into a rebuilding phase after several notable trades this winter. However, they still have plenty of established players on their roster. Can the Mariners still compete while they try to rebuild or will 2019 be a long year in the Pacific Northwest? Seattle’s rotation was middle of the pack last year, but that was before the club traded away ace James Paxton. The Mariners will have to find a way to get on without Paxton at the top of the rotation. 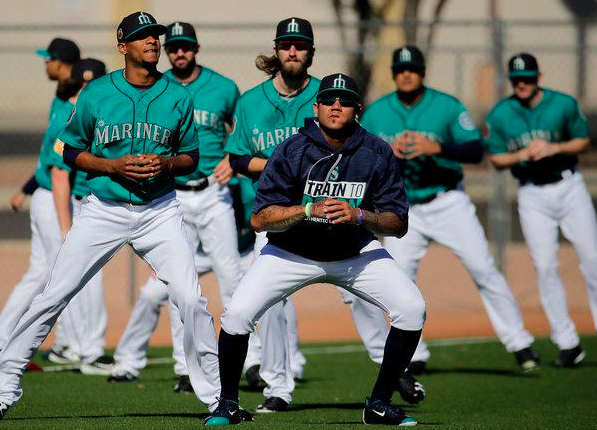 It certainly doesn’t help that Felix Hernandez no longer resembles an ace in any way. The 33-year-old is starting to show the wear and tear that comes with 14 major league seasons. He was 8-14 with a 5.55 ERA last year and barely resembles a back-end starter nowadays. That will leave veterans like Marco Gonzales and Mike Leake to lead Seattle’s rotation in 2019. Both are solid major league pitchers, but neither is a frontline starter. The Mariners will hope that lefty Yusei Kikuchi can give them an immediate lift in his first big league action, although instant success is far from a given. Seattle will also hope that guys like Wade LeBlanc and Roenis Elias can help fill out the back end of their rotation until prospects like Justus Sheffield and Justin Dunn are ready to pitch in the majors. The future may be bright, but those guys may not be ready to take on prominent roles in the Seattle rotation until 2020. In addition to trading away the ace of their rotation, the Mariners also traded away closer Edwin Diaz this winter. Diaz saved 57 games last season and leaves gigantic shoes to fill. On the other hand, the Mariners acquired the likes of Hunter Strickland, Anthony Swarzak, and Cory Gearrin over the offseason to handle the late innings. Of course, there’s no obvious closer among those three, so it remains unclear how the Mariners will manage leads late in games. Even with a few solid veterans in their bullpen, the Mariners will try to find reliable relievers amongst their contingent of younger pitchers. Shawn Armstrong is one pitcher who impressed late last season and could carve out a prominent role in 2019. Dan Attavilla and Matt Festa both showed flashes last season while Elias could have an important role if he’s not needed in the rotation. Gerson Bautista could also be someone to watch closely, as he was one of the young players Seattle acquired for Diaz. Over the winter, the Mariners parted ways with the likes of Robinson Cano, Nelson Cruz, Jean Segura, and Mike Zunino, among others. However, they still have a rather intriguing lineup that remains very much influenced by veterans. Dee Gordon remains the second baseman and leadoff hitter. The Mariners also replaced some of the speed lost by trading Segura with the addition of center fielder Mallex Smith. Gordon and Smith and the top of the order should give Seattle an impressive amount of speed that could help them put pressure on opposing pitchers. Meanwhile, Seattle’s lineup will feature no shortage of power. Edwin Encarnacion is in line to be the primary DH after hitting 32 home runs and driving in 107 runs in Cleveland last year. Mitch Haniger will also help to anchor the lineup after his breakout campaign in 2018. The Mariners also have the likes of Jay Bruce and Domingo Santana supplying power in their outfield, as both are capable of hitting 30 home runs. There’s even more pop coming from first baseman Ryon Healy and third baseman Kyle Seager. Unfortunately, Seager will is coming off a down year and will miss the first month of the 2019 season. But the Mariners have put plenty of help around him, so he has a chance to bounce back this year. Seattle also has a number of interesting X-factors in their lineup. Catcher Omar Narvaez excelled in a part-time role with the White Sox last season and will now have a chance to be an everyday player. The Mariners also brought in Tim Beckham to be their primary shortstop. Beckham struggled in Baltimore last year, but he also started to fulfill his potential the previous season, so there’s a chance the former first overall pick can find his stride with a new team. With so many power hitters in their lineup, there’s every chance the Mariners will be one of the highest-scoring teams in the American League this year. However, they also have a pitching staff that is going to bleed runs. At the end of the day, that’s not a combination that’s going to work too well. After going 89-74 last year, look for the Mariners to fall back to 76-86 in 2019, keeping them far from contention the second half of the season.